Oh my goodness, it’s with tremendous humility that I write about adoption. To me, there is no greater honor than to have been chosen to adopt each of my babies. If you had asked me 10 years ago if I would ever be giving insight or even be passionate about such a precious gift, I would have very enthusiastically said never! I have to confess that I love my comfort zones. It’s something I’ve always struggled with—making sure I adjust, adapt, prepare, etc., to be comfortable because I thought that if something was “hard” then I must not be doing it right. It really started after my mom passed away. I began to take every relationship and situation in my life and do everything in my power to keep it as painless as possible. I hate being caught off guard. I hate not being in control. I hate not being able to fix something or for heaven’s sake being vulnerable! You’d think I would know by now that it’s in those vulnerable, uncomfortable (but inevitable) experiences of life that I actually become whole and ironically find comfort. You can imagine the irony when adoption was the route chosen for us to grow our family. After at least five years of struggling with infertility, my husband brought up adoption. We knew a few other couples who had adopted but I just knew it wasn’t for me. In other words, that wasn’t a comfortable or even normal conversation I thought I should ever have to have. Getting pregnant was normal. That’s what was going to happen for me; so I very quickly and tearfully dismissed the adoption conversation. I wondered if my husband gave up on getting pregnant and why was he going to this “last resort” by bringing up adoption. That’s how naïve and closed-minded I was. I didn’t want my “normal” or “comfort” to be disturbed. Why should it be disturbed? Didn’t I deserve for this to happen like it did for everyone else? Even after 5 years of infertility, I very quickly and tearfully dismissed the adoption conversation. Getting pregnant was “normal” to me. I cannot tell you the exact moment when my heart decided that adoption was no longer a last resort but a privilege and a calling, but all I know is my heart went on a very intense emotional and spiritual shredding to get me to realize that I was chosen to adopt. I say shredding because that’s what I did. I shredded expectations, fears, stereotypes, failures, insecurities, preconceived notions, even comfort, and replaced those things with hope, awareness, education about adoption, faith, and risk, and found more love than my mind can sometimes comprehend. I thought that embracing the path of adoption was my mountain to climb, that ultimately surrendering my version of growing a family was the hard part, the uncomfortable part—then came the paperwork…and the home study…and the doctors’ appointments…and the spilling of every detail of my personal life, marriage, and family, and my blood (literally), sweat, and tears into a packet of paper and a profile book…and choosing the right pictures to capture the love in our marriage and extended family…and writing the right words to make her, our birth mother, love us without even knowing us…and then the waiting. My husband will tell you that the waiting part was easy for him and that the home study and “logistics” of even getting to the waiting phase was brutal. Well, my friends, it’s all hard, but the waiting is heart-wrenching. Cue more “shredding.” At the waiting point in the process, you are “done” with your part. At least through the home study there are phone calls, appointments, papers to fill out, actions to take. If you’re like me, you feel like you’re wasting time if you’re not moving and actively doing something. Waiting is a helpless and out-of-control feeling. There is no phone call to make and no appointment to check off your list. You just wait. Ugh. Just the word “wait” makes me uncomfortable. I don’t wait well—or at least I didn’t. I’m getting better. I’m starting to embrace the wait in many areas of my life and even find contentment in it. With adoption, it’s easy to feel alone and like it’s not fair. My dear, I’m here to tell you that it is possible to find joy and even comfort in waiting. It’s taken me three home studies, three very different waiting periods, an unfathomable amount of money and hours, buckets of tears, several “she didn’t pick us” moments, and three precious children to be able to write this next part. I hope my mistakes, fears, and boldness to wear my heart on my sleeve encourages and equips you to wait well during the adoption process. 1. Your flexibility will be tested, but you will not break. Remember that the word “fair” is relative. Everyone has “it’s not fair” situations in life. Your path is not only fair but it is perfect. It’s yours. The adoption journey is like traveling. There is a destination—a baby. We all arrive at our destinations, but some people don’t make any stops, some take detours—both planned and unplanned—some go slower and check out the scenery along the way. I think you get the analogy. You may feel like your car has run out of gas, like you’re stuck on the side of the road, left for dead, but fear not—your little inner GPS lady is just recalculating and you’ll be back on course in no time. I know it’s hard to celebrate with anyone who gets pregnant when you’ve tried so hard and are still waiting for your moment, but they are being given a gift, and gifts deserve celebration. It doesn’t mean they’re better than you or did something to deserve this and you didn’t. Don’t envy anyone who gets pregnant easily, even your friends that get pregnant the first month they started trying. When you learn to truly rejoice with people who get pregnant, you’re there. You’ve found the joy in waiting because you realize that people get pregnant all the time but you’ve been chosen for something rare and precious. Children, no matter how they are added to your family, are a gift, not something we deserve or is due to us. Jealousy breeds resentment. Resentment breeds obsession, among other unflattering qualities. 4. Adoption, or waiting, rather, doesn’t define you. You are a wife, daughter, friend, co-worker, aunt, sister, etc. Those people need you to fulfill that role in their lives with or without children. Those relationships are here and present now, so enjoy them and be you. 5. If you’re married, don’t forget your husband. 6. Don’t look so far ahead that you miss what’s right in front of you. Many times we live with the “if, then” mentality. If we could just get matched then… If we could just get to placement then… If I could just be a mom then… See what you do have at this very moment and do it well. 7. Be willing to love with a part of your heart that is fragile and delicate. One of my favorite parts of the adoption journey is meeting and welcoming our birth mothers into our family. After all, she is a part of our family now. The bond that an adoptive mom and birth mom have is an unfathomable kind of love if you leave it all on the table. There is no other relationship on earth like it. Not every story includes the beauty of this relationship, but I’m honored to say that we love our birth mothers and see them as an extension of us. Risk is a part of life. Whether you add to your family naturally or through adoption, risk is involved. If you’ve been matched and are waiting on your baby to be born, spend the waiting time loving on your baby’s birth mom. You’ll never get this time with her back. Love with a part of your heart that has never been ignited but was specifically created and chosen to do so. 8. Wear your skinny jeans. I’m convinced that God chose me for adoption because he knew I couldn’t handle pregnancy or labor. I’m a total wimp. I have absolutely no desire to carry my own child and, now, I can wholeheartedly say that I’m thankful for that! However, that desire was just replaced with wanting to adopt over and over again. I love the brave women in my life who have had their babies naturally and I have the utmost respect for them, but there isn’t one jealous bone in my body watching them endure pregnancy, labor, and post pregnancy. 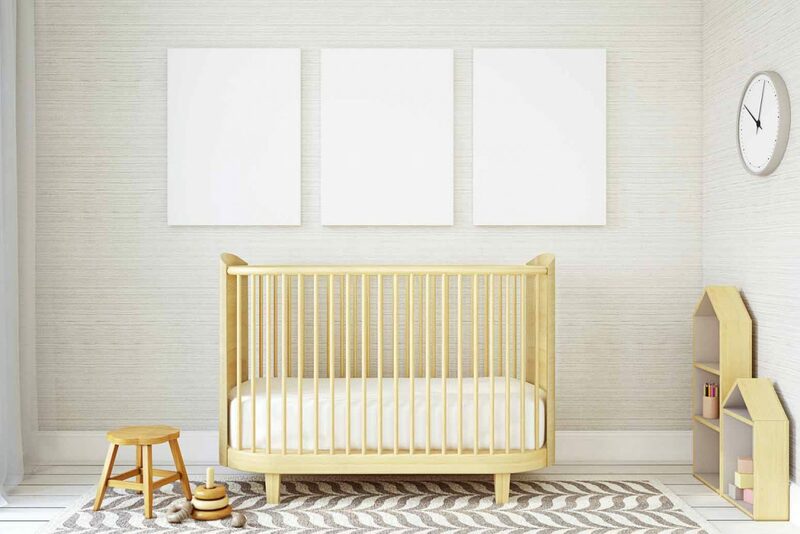 The desire to be a momma has been put on your heart for a reason, and if you want to create a Pinterest board of your baby’s nursery and decide on names, then go for it. It’s good for the soul. Just know your limits. Don’t get lost in the dream. 10. If you haven’t been matched yet, then your baby just isn’t ready yet. On the other side of your waiting is a girl who is about to be shocked at finding out she is pregnant and who is mustering up the courage to make the absolute toughest decisions of her life. You don’t even know her yet but when you feel antsy, think of her. Think of what she must be dealing with. Think of how she’ll have to make decisions you can’t imagine making. Think about how she will be the most courageous and selfless person you may ever know. Be hopeful that somewhere out there is a girl who doesn’t know you yet, but soon you will be the answer to her greatest decision. Be patient for the baby who is yours. I believe that waiting well is summed up in how we endure the process. What if we look at waiting as something that isn’t happening to us but for us? For our children? You are being prepared for motherhood right now! Grow. Learn. Change if it’s necessary. Be a better mom because of the process. Don’t get me wrong, the process was painful, but it also produced many moments that I will forever treasure. That process helped prepare me to be their momma. I get to share that process with them and it’s how I talk about it and relay the details that will impact how they see their lives. That process is their story. Of course, I want them to know and understand the great love and lengths their dad and I went through to bring them to our family and I believe that part starts with how I waited, how I endured their stories. Infertility Is an Interruption, but Not the End, A Single Career Woman’s Desire to Adopt, Choosing Hard Things Is Never Easy, but Always Worth It, Reality: Behind the Scenes of the Happy Adoption Photo, and How to Move On From the Loss of a Dream in a Healthy Way. Don’t miss this recent podcast episode from This Grit and Grace Life: What Makes a Woman Beautiful (Might Surprise You) – 043!